Allyn is a licensed Physical Therapist with a background in collegiate swimming. She moved to Nashville with her husband from Jackson, MS where she attended the University of MS Medical Center and received her Masters in Physical Therapy. Following graduation, Allyn went to work in an inpatient rehab setting with patients who had spinal cord injuries, strokes, brain injuries and other neurological disorders. The heavy lifting and transferring of patients resulted in a low back strain that required Physical Therapy treatment. After finishing her therapy, Allyn realized she must find an exercise regimen to strengthen and mobilize the muscles surrounding her spine in order to perform her job safely and well. It wasn't until she started Pilates that she discovered she had tight, undertrained, neglected muscles and that it was these muscle imbalances that led to her injury. Allyn opened Swell Studio after experiencing first-hand how the Pilates Reformer workout can provide therapy while transforming your body. Pilates results in long, lean muscles that are balanced with strength and flexibility and less prone to injury. Allyn gets the same joy from seeing her Pilates clients overcome injury or lose major inches as she does seeing her Physical Therapy patients take their first steps. Her clients have a range of goals from toning problem areas to becoming more flexible, to decreasing pain or increasing their athletic performance. Most clients can see a tremendous difference after just a few classes. Click here to book a class with Allyn. She is also available for a Private Session, Duet, or Trio. Elisha has over 14 years of experience in teaching dance all over the Nashville area. She's trained in Ballet, Modern, Hop Hop and Jazz. She received a certificate in Dance Studies from Vanderbilt University in 2007 and prior to that, she danced with Middle Tennessee State University. Pilates became a passion of hers and seen it improve dancers movements and overall function. Elisha pursued instructor training through Balanced Body after seeing all the extraordinary benefits Pilates had. Elisha believes Pilates is a way to prolong the life of a dancer and improve everyone's life. Along with teaching she loves running, hiking, biking and horse back riding. Book a class with Elisha. Olivia is a comprehensively certified Pilates instructor through Balanced Body and has her bachelor’s degree in Dance from SUNY Purchase College. She was led to pilates during her dance career with Pennsylvania Ballet and Nashville ballet in an effort to cross train. It wasn’t until a debilitating injury that Olivia saw first hand just how beneficial pilates could be. She has since dedicated her life to educating movers in their various practices. Olivia works extensively with dancers and athletes and is passionate about working with mothers pre and post natal. Her primary focus and methods revolve around injury prevention and total body strength through proper alignment. She believes that working out should feel more like play and encourages her students to leave it all on the mat, or reformer! Book a class with Olivia. Leah grew up around sports in her hometown of Homewood, AL. Volleyball, soccer and basketball filled most of her free time through high school and college. After attaining her Bachelor’s degree and Master’s of Accountancy at Auburn University, she started a career as a CPA here in Nashville. In her search to find an athletic outlet, Leah took a Pilates class and loved the combined focus on strength, mobility, balance, and alignment. Practicing Pilates has given her a more balanced lifestyle and helped her fight the adverse effects of her desk job. Leah decided to pursue her teaching certification through Balanced Body and is overjoyed to have the opportunity to teach others about all the benefits of Pilates. Book a class with Leah. Jennifer Stark grew up dancing and marching parade routes while twirling batons, despite having scoliosis. Years after her childhood diagnosis, she received a private Pilates lesson as a birthday present to work on her scoliosis and immediately fell in love with Pilates. As she learned to balance her strength and flexibility, the lifelong physical pains stemming from her scoliosis melted away—as did her scoliosis, which is barely noticeable now. Pilates has gifted Jennifer with a greater understanding of movement and the human body, which she shares with others so they can become empowered and take control of their bodies, just like she did. 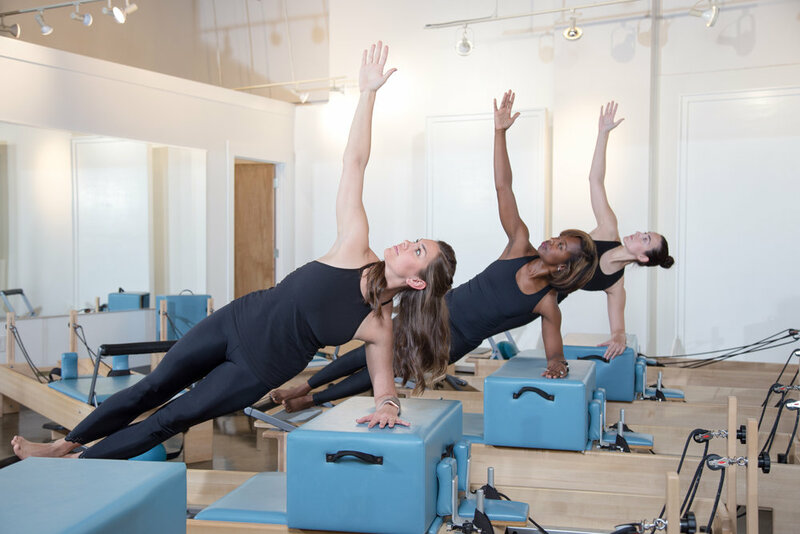 All of our instructors including our Physical Therapist have been through intense pilates training requiring both student training and 100 hours of observation by a skilled instructor. The instructors at Swell Studio continue to build their skills through continuing education courses, online courses and self practice. They are all educated thoroughly and are able to modify or advance any exercise according to the clients need.